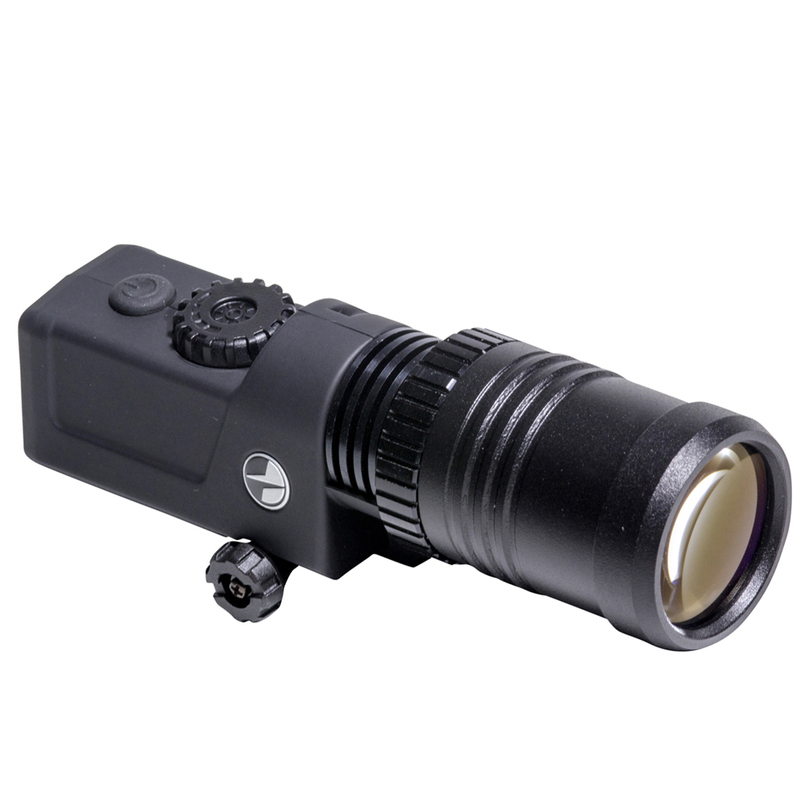 Pulsar's X850 IR LED Flashlight is designed to provide supplementary illumination for night vision devices such as goggles, monoculars, and riflescopes. It has an integrated Weaver rail mount, plus an adapter for devices with a 1/4"-20 tripod mount. A rear-facing LED status indicator shows when the unit is on and when the batteries are running low. Use the light's focusable beam to select a wide flood to illuminate large areas, or focus it to a tight spot light for maximum throw. The spot beam position inside the user's field of view can be adjusted based on the light mounting position and orientation. 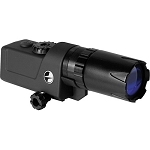 This allows the user to precisely control where the beam falls for optimum effectiveness. The power button is located on the top of the housing with a separate dial next to it that controls the variable intensity.